Keeping a home clean and clutter free is essential not only for a better state of mind for your family but also a better way to keep everyone healthy. That requires a lot of work. There are a lot of items to clean that people don’t often think about, especially when it comes to germs that can cause health issues. Think about cleaning some of these things next time you do a deep clean. Take some time to clean the cushions on all those couches. Despite the fact that people are sitting on them all the time, people rarely clean them. The leather is pretty easy to clean, but other materials will take a little more care. You can wash most couches with a rag and warm water. You can wash some curtains and slipcovers in the washing machine. Though these are some of the most used and touched parts of the house, people rarely think about washing the walls. The walls can usually be treated with a rag and some soaps to wipe off all those loose fingerprints. There are tall things all around your house. While things that come into your view are more comfortable to see and clean, there are all kinds of taller furniture that have tops that don’t get cleaned as often. Take the time to get the tops of refrigerators, cabinets, fans, and other things generally out of reach. Though most people can’t see the dust from these things, the dust can affect the health of people in the home. Televisions usually act as the central hub of most entertainment rooms. It houses your TV, video games, movie players, and even some music. There are all kinds of wires and things that put it in a pretty permanent spot. Because of that, getting to the back of the television is pretty tricky. Cleaning the end will not only clear a lot of dust bunnies, but also help cool down the tv. As heat is an enemy of electronics, cleaning your television will help it to last longer. People never associate trash cans with clean. That is where all your trash goes. Taking the time to clean the trash can out can help take away from the scents of garbage that have been lingering. A natural cleaning tip: For smaller, plastic trash cans, put them in the dishwasher, for a comfortable, faster clean. Garbage disposals can be a big part of a strong odor you might have in your kitchen. 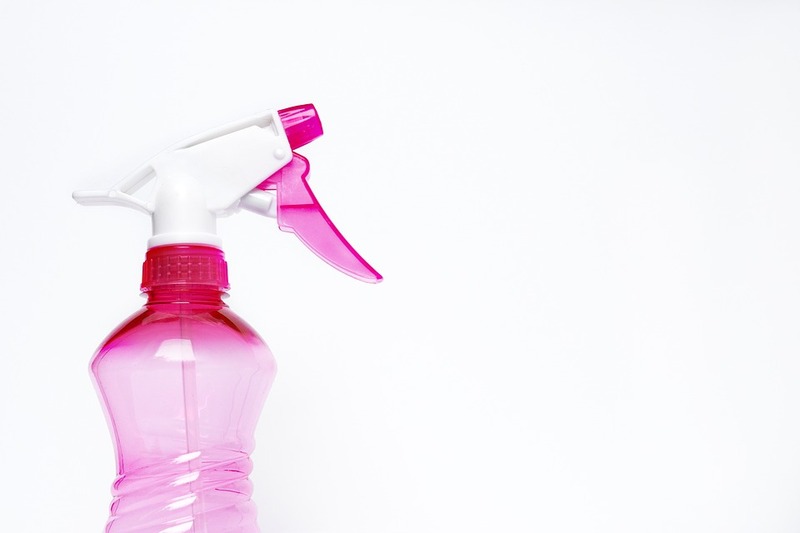 You probably neglect cleaning it out very often, but doing so can benefit you greatly. If you pour some baking powder and then some vinegar and allow that to bubble for a few minutes that can clean some of the gunk out. Then if you want, you can grind a lemon in the disposal not only for cleaning purposes but also to give a fresh lemon scent to the kitchen. There are many things you should take a look at cleaning, especially when you are doing a deep clean in the spring or fall. Make sure to remember these neglected tasks and your home will thank you for it.